I can’t believe Thanksgiving is only a couple of weeks away. I am working on a quick DIY for next week perfect for your holiday table setting. As I gather inspiration for my table setting, I couldn’t help but be drawn to all things green for some reason. I love the use of texture and colors of the produce used for the centerpiece above. It sent me into the Pinterest black hole last night and I surfaced with a bunch of pins, that all had a little green involved (except the apple champagne cocktail, that just looked too good to pass up. 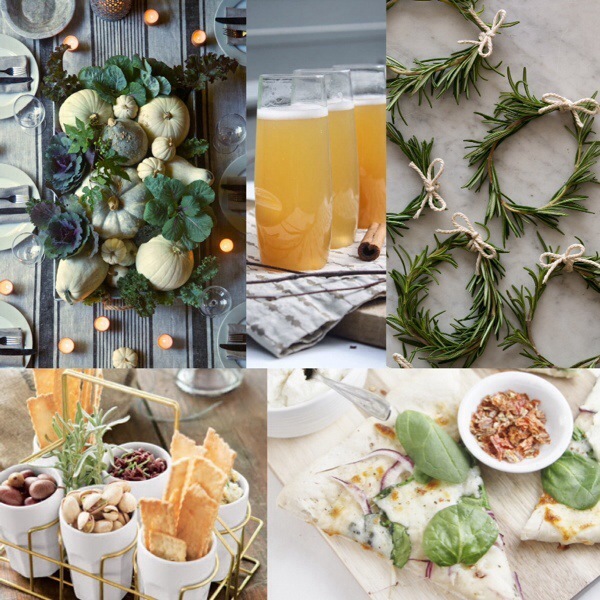 From rosemary napkin rings, to a simple spinach and ricotta pizza that could be a nice change of pace in the appetizer department this year, I am ready to change things up on the table this year.